After day of hard coding a new component is ready. 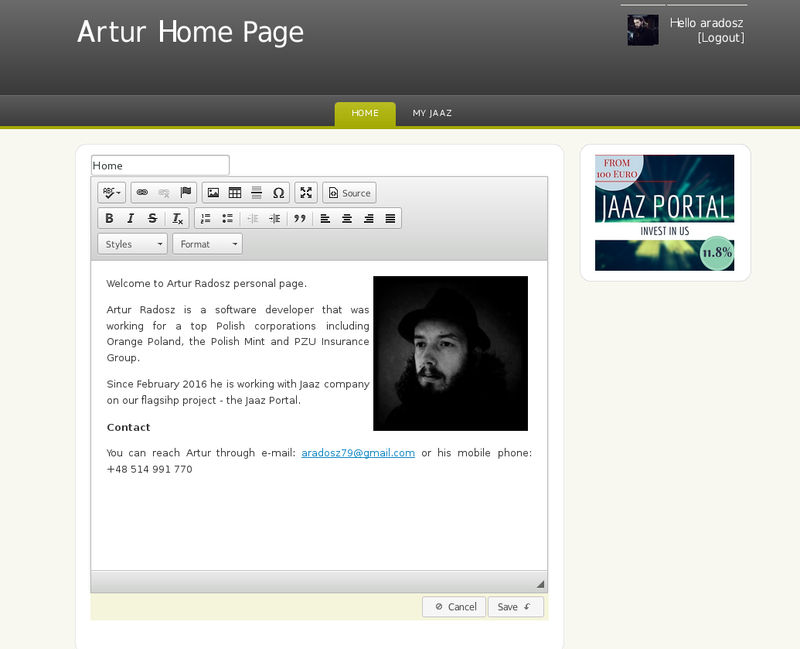 Users now can edit their start page. The component have all standard features needed to create HTML page. In addition a dialog to upload user images is provided and integrated with the system.